Moroccan troops and civilians poured en masse into the territory in the first wave of a settler colonial project that continues to this day. 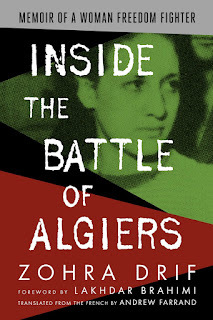 Algeria, meanwhile, fresh off its own independence revolution, was eager to provide support to fellow freedom fighters—especially if it checked upstart Morocco's ambitions in the process. So Algeria welcomed refugees while providing arms, resources, and safe haven to a resistance movement combating the Moroccan incursion. Fighting lasted until a 1991 UN-brokered truce, and tensions have abated little since. 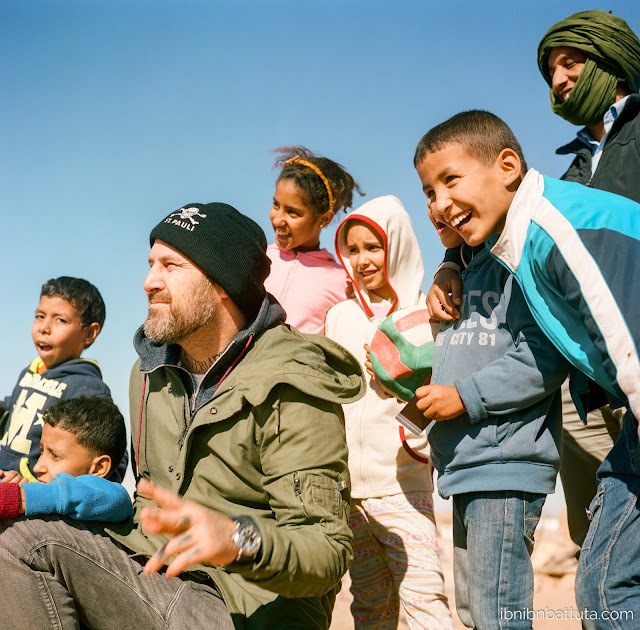 Daniel Dart poses with Sahrawi kids in the Tindouf camps. But wait, just who were these revolutionaries the Algerians were supplying? Amidst all these regional squabbles, it's sometimes forgotten that the Western Sahara wasn't just empty land for the taking—it was inhabited by actual people: the Sahrawis. The real issue at stake here is the right of these original inhabitants to determine their own future. 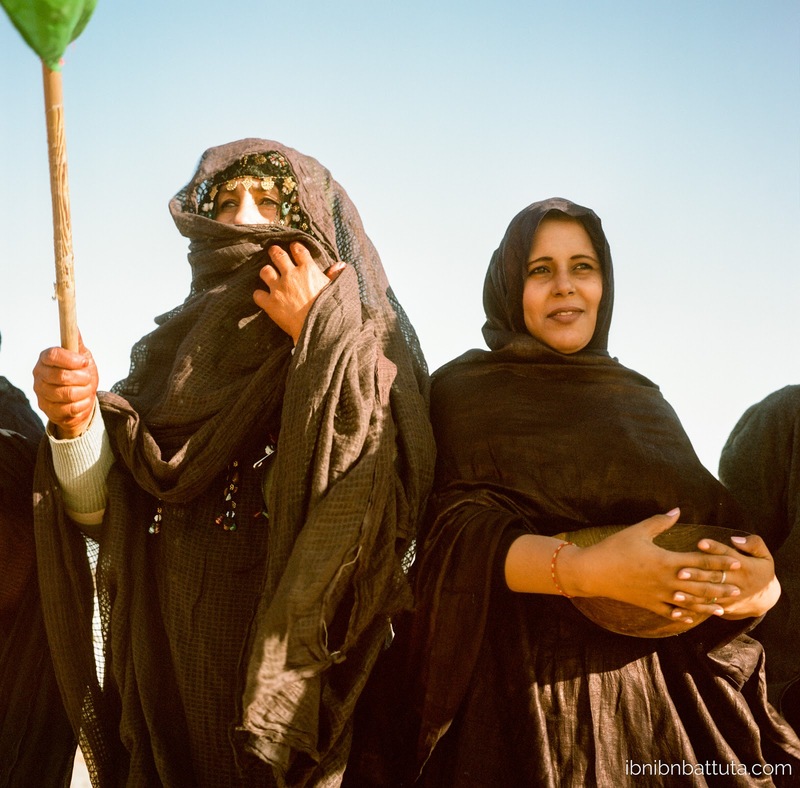 The Sahrawis speak Hassaniya, a dialect of Arabic distinct from the Moroccan one, and have visibly different dress, food, customs, and more. They consider themselves a distinct population and have been fighting for independence from Morocco for over 40 years under the banner of the Polisario Front resistance movement. (Interestingly, Polisario was founded well before the Green March as a vehicle for resistance against Spanish colonization, before shifting its focus in 1976 to resisting Morocco.) Western Sahara is sometimes rightly referred to as "Africa's last colony". 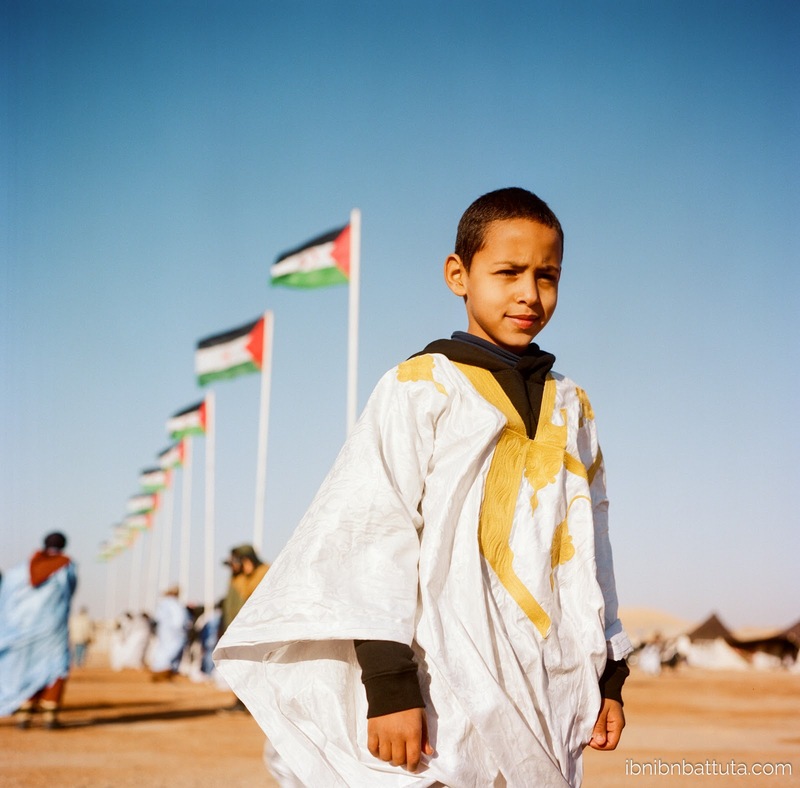 Many Sahrawis still live in Moroccan-occupied Western Sahara, and a few also live in the "liberated zone"—a strip of territory that Morocco has lost to Polisario forces. According to the UN's plan, residents were to be offered a referendum in 1992 to settle the question of the Western Sahara's future. But the Moroccans have been blocking the vote for 26 years and counting, inventing excuses in order to continue plundering Western Sahara's abundant resources. The territory's Atlantic coast is a goldmine for fishing, and recent exploration has begun to turn up oil reserves as well. But most lucrative is phosphates, a critical ingredient in fertilizer; nearly three quarters of the global supply is in Moroccan hands—most of it in Western Sahara. Instead of organizing the referendum, for a generation Morocco has been busy walling off its territory from the Sahrawi-controlled areas with a huge sand berm. Today the completed berm runs 2,700 km (1,700 miles) through the desert and is fortified with fences, radar, gun turrets, and an estimated 9 million landmines. Back in November, I traveled from Algiers to visit the Tindouf camps for the first time. I was accompanying Daniel Dart, an American entertainment wiz and domestic political organizer who has grown interested enough in the Sahrawis' plight to expand his activism internationally. 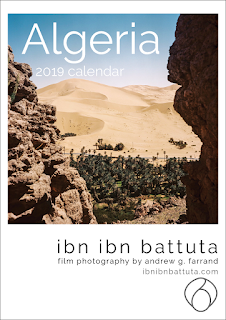 After a mutual friend put us in touch back in the summer, I helped Daniel (and his travel partner, pro photographer Chris Swainston) make arrangements for entering Algeria, visiting Tindouf, and establish some initial contacts. In return, Daniel invited me to tag along for a few days of exploring the camps and speaking to Sahrawi leaders, activists, and ordinary citizens. Aesthetic touches are rare in the Tindouf camps, where means are limited and none want to stay long-term. A refugee camp isn't supposed to be a beautiful place. You tell yourself this, of course, before you go. And I knew it firsthand after visiting Palestinian camps back in the Middle East. 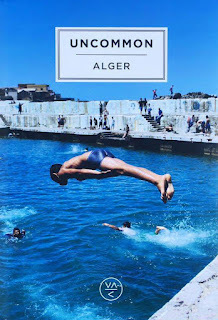 But it was still a shock to the system to travel from the verdant hillsides of Algiers—with their whitewashed villas and Mediterranean views—to drab and ramshackle Tindouf. Algeria is home to some of the world's most jaw-dropping desert landscapes, but this remote corner of the country seems almost entirely devoid of beauty. Rather than sand dunes, Tindouf is surrounded by hard-packed dirt and scraggly brush whose main function seems to be collecting and shredding windblown plastic bags. The weather takes no prisoners. Even in November, after a few minutes sitting in the sun we were obliged to shed layers. But come dusk, the temperatures plunged to lows I couldn't imagine. (Nina, who works for a humanitarian organization active in the camps, warned me in advance that it would be cold, but I was still woefully unprepared for the wind's bitter bite.) In summer, the place is renowned for its oppressive heat, reaching up to 57°C (135°F). If the climate renders Tindouf thankless, then the refugees' situation only compounds it. The camps are composed of wide, flat expanses of cinder-block-and-sheet-metal houses without insulation or, in some cases, running water. Goats bleat in small wire pens beside each home, and satellite dishes jut from the rooftops. Between each dreary brown and grey house is only sand, with nothing green in sight, reflecting the sparse existence of the inhabitants. At one point, while a local youth activist walked us around, I realized there wasn't a soul in sight. "It's a Thursday afternoon. Where is everybody?" I asked. "Most people, they just sit inside and watch TV all day," he replied. "There's nothing else to do." While most of the world's refugee camps are administered by the UN humanitarian agencies, the Sahrawis manage the Tindouf camps directly. Their own ministries administer hospitals and clinics, distribute food rations and building supplies, issue their own passports and license plates, ensure security, and more. We met several officials during our time in the camps, including Mouloud Said, the Sahrawis' earnest envoy to Washington; Fatima El Mehdi, soft-spoken leader of the National Union of Sahrawi Women; officials from the Sahrawi Red Crescent (the local equivalent of the Red Cross); and multiple local officers of the Polisario government in exile. These leaders were uniformly diplomatic, articulate, and practiced in demonstrating their people's plight to foreign visitors. Middle-aged or graying, they have spent decades pleading their case abroad while keeping the peace at home. Yet for over 40 years, the Sahrawis have been sitting here in the desert, sheltered and nourished by outside donations, idle and frustrated, wondering if a solution will ever come. Children are born, grow up, and die in the camps. Morocco piles sand higher atop the berm, France provides diplomatic cover, and the international community otherwise shows little interest in the conflict, much less in resolving it. In such circumstances, what hope can leaders offer to their people? That question holds a particular sting for young Sahrawis, who, after all, have their lives ahead of them—and, therefore, more to lose from the situation's continuation and more to gain from its resolution. Where their elders, perhaps driven by wartime memories, have learned to compromise, to come to terms with a tragic but ultimately survivable plight, it seems some youth are less convinced. Rumors of inter-generational disputes, of upstart young men challenging their staid elders, of calls for a renewed war against Morocco, have percolated out of the refugee camps and the occupied territory in the past years. Young people see no end in sight. Morocco has managed to block the referendum from taking place for 25 years, so who's to say they couldn't drag it out for another 100, plundering Western Sahara's resources all the while and condemning generation after generation to suffer the rootlessness of the displaced and dispossessed? Until now, the veterans in power have managed to keep a lid on such demands from the youth, but just how long that uneasy standoff can last is a pressing question. 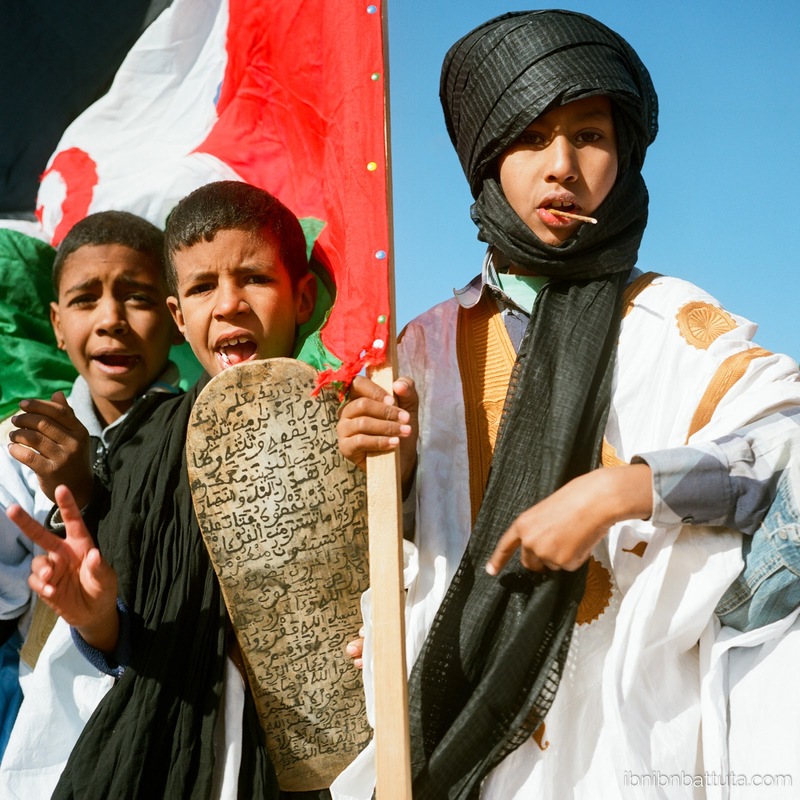 Boys chant patriotic songs at a Sahrawi independence parade. Daniel Dart, the American activist I accompanied to Tindouf, has previously succeeded in raising awareness to bring balance to similarly one-sided debates back in the US, and hopes to put that experience to use in service of the Sahrawis' cause. In the past, few have managed to pierce through the fog of propaganda that Morocco's lobbyists spin up, but anything is possible. Educating outsiders—especially young people—about Western Sahara's very existence and its people's struggle is an obligatory starting point for any such effort. Daniel is well placed to help, even if he has a long way to go: My search turned up just three fleeting mentions of Western Sahara in his hometown newspaper, the Los Angeles Times, across all of 2017. 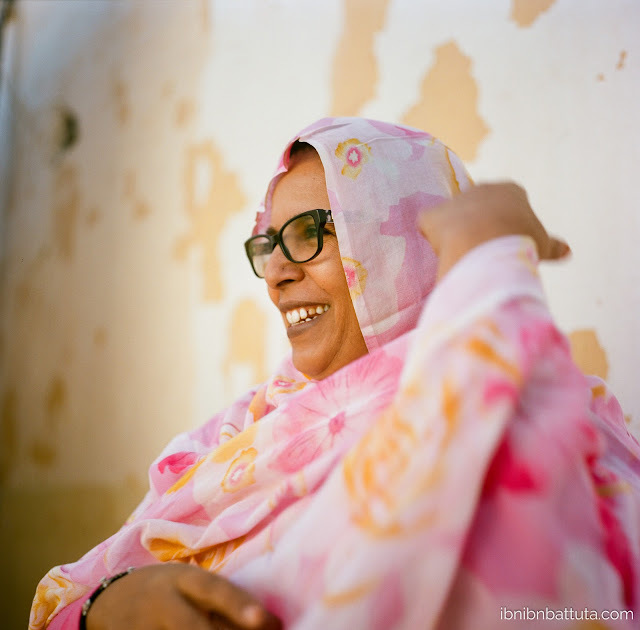 For decades, determined optimists in the Sahrawi camps have been appealing for more international attention toward the injustice of their situation. Let's hope the world begins listening before the tide of frustration overwhelms them. Update: Check out Nicolas Niarchos' recent New Yorker piece "Is One of Africa's Oldest Conflicts Finally Nearing its End?" 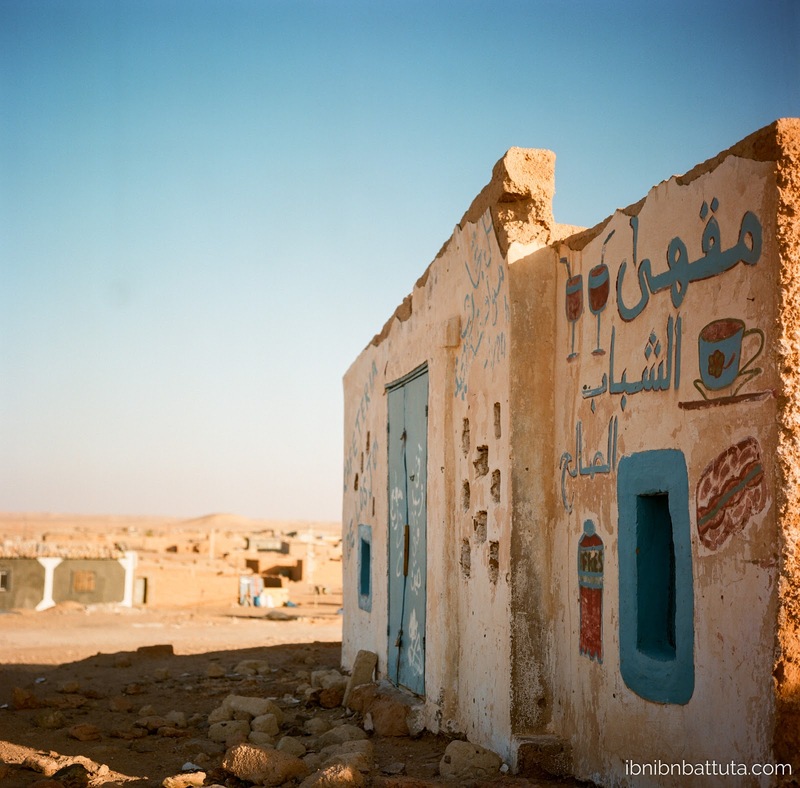 For more photos from my time in the Tindouf refugee camps, please see the full album here.